A naïve observer might expect a five-star ski hotel in the mountains of northern Sweden to stark, stimulating, modernist sort of place, where the drama of the cutting-edge architecture and stylish, urbane interiors are only heightened by the sublime alpine landscape. This is one of those times when the naïve observer is exactly right. 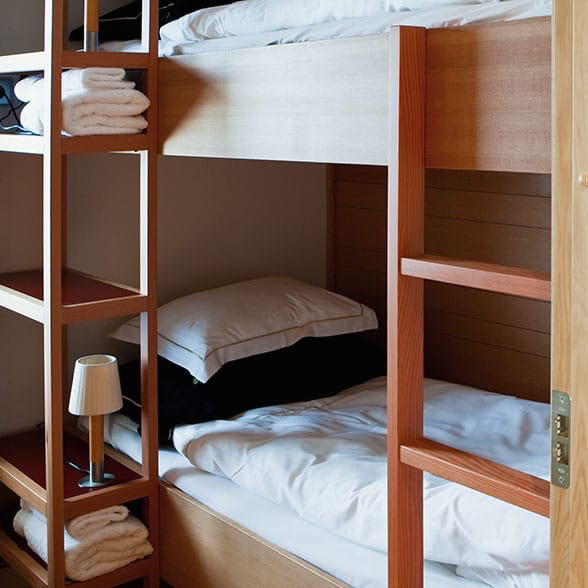 Mount Åreskutan is by some measures Sweden’s top ski town, and it’s here that you’ll find the stark, stimulating, modernist Copperhill Mountain Lodge. The architect, Peter Bohlin, is probably already familiar to you — he’s responsible for quite a few iconic Apple retail stores. Here, as compared to those minimalist cubes, he’s in full rustic mode — the soaring forms are cut in wood, not metal or glass, and in the interiors, alongside the odd mid-century modern piece is more than a little bit of rough-hewn stone and classic furs and textiles. This all comes across perhaps better in the photos. 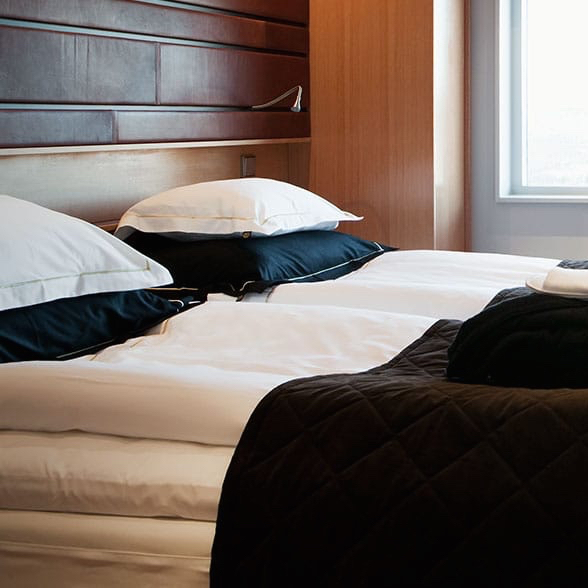 What’s important to know is that along with the cutting-edge style you’ll get top-notch comforts, from the thoughtful room amenities (kitchenettes, heated bathroom floors) to the spa, the gym, and the dedicated lift to whisk Copperhill guests to the top of the mountain. There’s a fine dining restaurant, a cozy lounge bar, and a slopeside satellite restaurant and bar — even on-piste you don’t have to leave the Copperhill’s stylish environs. 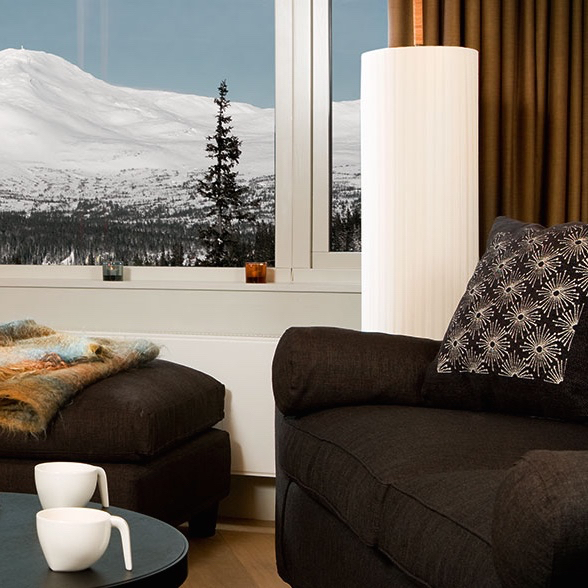 Copperhill Mountain Lodge is a one-hour drive from either Åre-Östersund or Trondheim/Værnes airport. Åre-Östersund has domestic flights within Sweden, while Værnes is an international airport with regular flights to and from much of Europe. Helicopter transfer is available from both airports, taking you to Copperhill Mountain Lodge’s own helipad in just fifteen minutes. Taxi and bus transfer services are also available from both airports. Please contact CustomerService@TabletHotels.com for assistance with airport transfers.